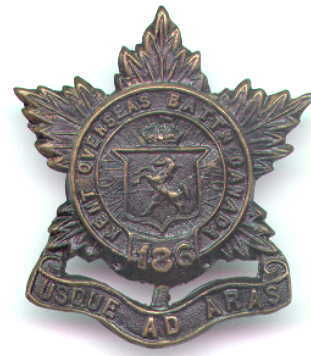 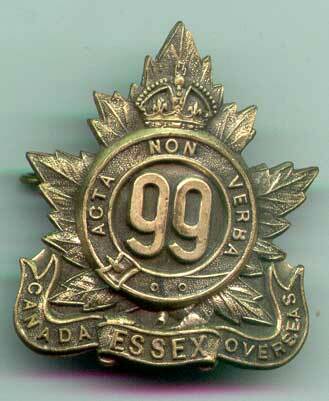 Perpetuates the 18th, 99th, 186th and 241st Battalions, Canadian Expeditionary Force. 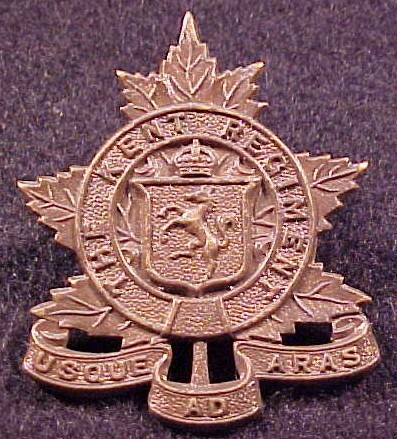 18th Bn, C.E.F.- "Mount Sorrel, Somme, 1916, '18, Flers-Courcelette, Thiepval, Ancre Heights, Arras, 1917, '18, Vimy, 1917, Hill 70, Ypres, 1917, Passchendaele, Amiens, Scarpe, 1918, Hindenburg Line, Canal du Nord, Cambrai, 1918, Pursuit to Mons, FRANCE AND FLANDERS, 1915-18"
VC won by L/Sgt E.W. 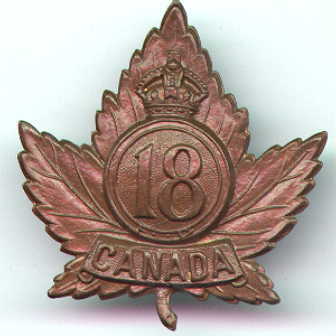 Sifton on 9 April 1917. 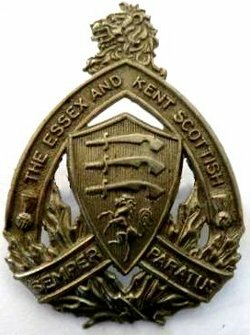 The Essex Scottish- "Ypres, 1915, '17, Festubert, 1915, Mount Sorrel, Somme, 1916, '18, Flers-Courcelette, Thiepval, Ancre Heights, Arras, 1917, '18, Vimy, 1917, Hill 70, Passchendaele, Amiens, Scarpe, 1918, Hindenburg Line, Canal du Nord, Cambrai, 1918, Pursuit to Mons, FRANCE AND FLANDERS, 1915-18"
The Kent Regiment- "Ypres, 1917"
The Essex and Kent Scottish- "Ypres, 1915, '17, Festubert, 1915, Mount Sorrel, Somme, 1916, '18, Flers-Courcelette, Thiepval, Ancre Heights, Arras, 1917, '18, Vimy, 1917, Hill 70, Passchendaele, Amiens, Scarpe, 1918, Hindenburg Line, Canal du Nord, Cambrai, 1918, Pursuit to Mons, FRANCE AND FLANDERS, 1915-18"
The Essex and Kent Scottish - "NORTH-WEST EUROPE, 1940-42, Dieppe, NORTH-WEST EUROPE, 1944,45, BOURGUEBUS RIDGE, St Andre-sur-Orne, FALAISE, Falaise Road, Clair Tizon, Foret de la Londe, THE SCHELDT, Woensdrecht, South Beveland, THE RHINELAND, Goch-Calcar Road, The Hochwald, Xanten, Twente Canal, Groningen, Oldenburg"
VC won by Maj F.A. 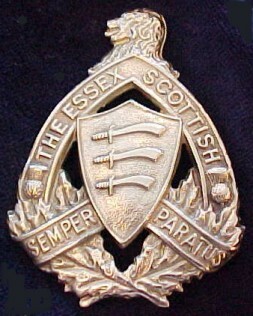 Tilston on 1 March 1945 while serving with the Essex Scottish Regiment, C.A.S.F.